I heard that you have a new cookbook coming out. How is it different from your first cookbook? Just to officially set the record straight: I am still the only cookbook author that wants to get you outof the kitchen! Don’t worry, that will never change. My newest book Quick & Kosher: Meals in Minutes, From The Bride Who Knew Nothing (yep! 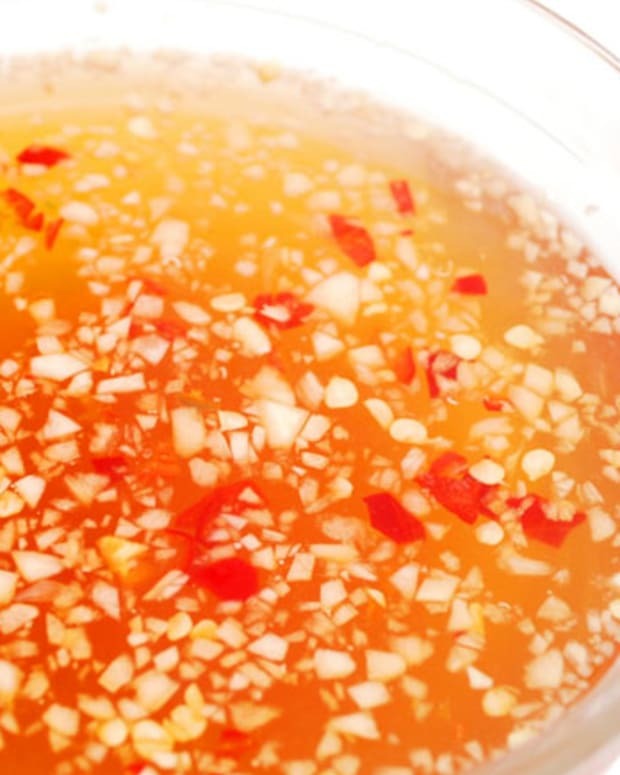 that’s still me) champions the same cause as my first book – quick & easy recipes (though they look and taste like you’ve slaved over them all day!). But this time I’ve arranged the recipes as complete meals – hence the title, Meals in Minutes. The book is arranged in timed chapters 20-, 40- and 60- Minute Meals – these times include cooking time. I call it PCS – Prep, Cook & Serve time – and chapters are arranged with that priority. So, for example, the 20-minute meal chapter means that in 20 minutes you can have this meal on the table! So you choose the chapter according to how much time you have that day! My first book Quick & Kosher: Recipes From the Bride Who Knew Nothing is a one-of-a-kind cookbook (with more than 160 recipes and 120 full-color photos): it emphasizes user-friendly dishes that require only minimal prep time, perfect for the cook who is either very pressed for time, and/or clueless in the kitchen, as I was when I first married. 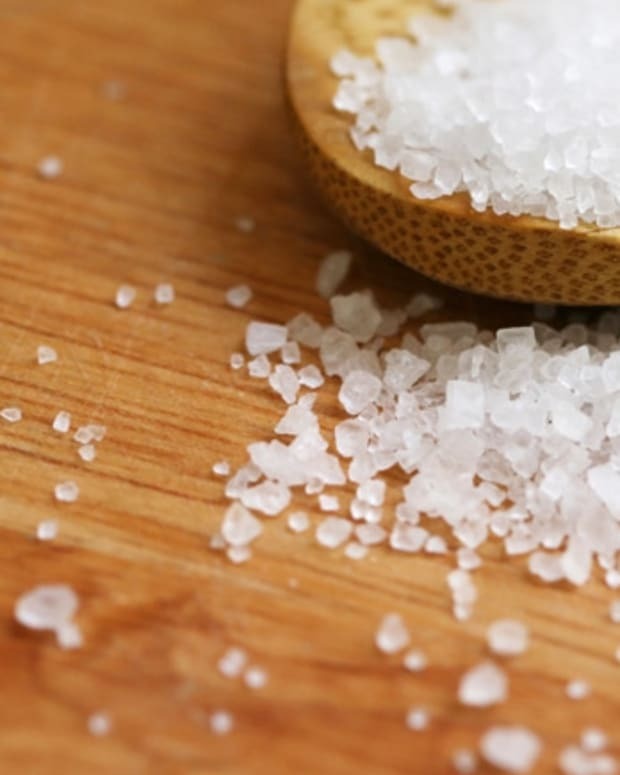 Every recipe takes 15-minutes or less to prepare, but cooking times vary. 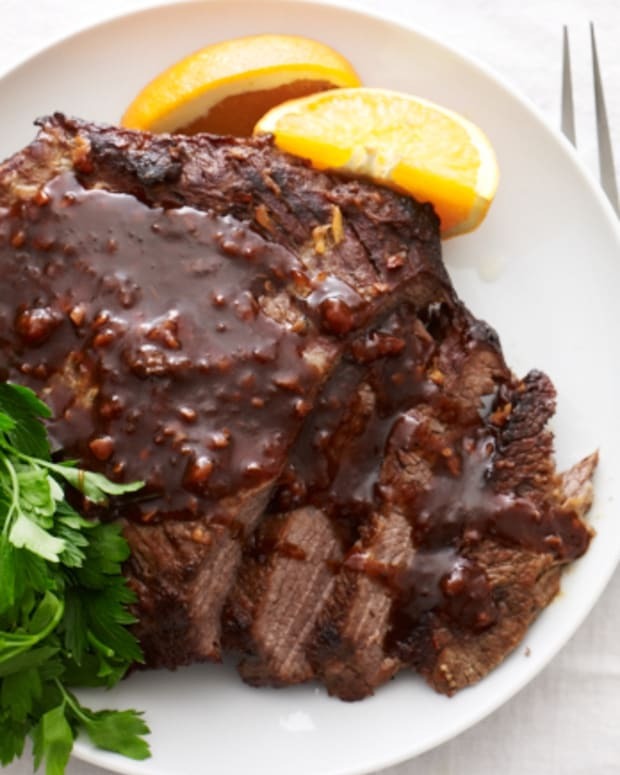 You brisket can take about 5 minutes to get into the oven, but then you have to allow at least 3 hours before it’s ready to be served. There are other significant differences too. Book one is arranged as typical cookbooks are, according to food categories: apps, soups, salads, sides, fish, poultry, meat, desserts, dairy etc... Then it is up to you to plan your menu by perusing the various chapters. In my new book, you can just turn off your brain! Each page is a complete, balanced meal -- a main with a side, or drink recipe or an all-in-one dish. And each meal comes with a recommended wine, so you don’t have to know the secrets of pairing specific foods with wine varieties. I also give tips on how to multitask so you can do this all in 20, 40, or 60 minutes. It was really important to me to separate the recipes too -- so even though each page is a pre-thought out meal, you can still just as easily decide to make the main dish and pair it with another side. For example, if you’re looking for a salad for Shabbos, you can flip through the pages and pull out different salad recipes you might like instead of sticking to the specific one I recommended. As in my first book, the second cookbook also has a special Holiday chapter which is arranged as individual recipes, each recipe with its own stats on prep and total time. 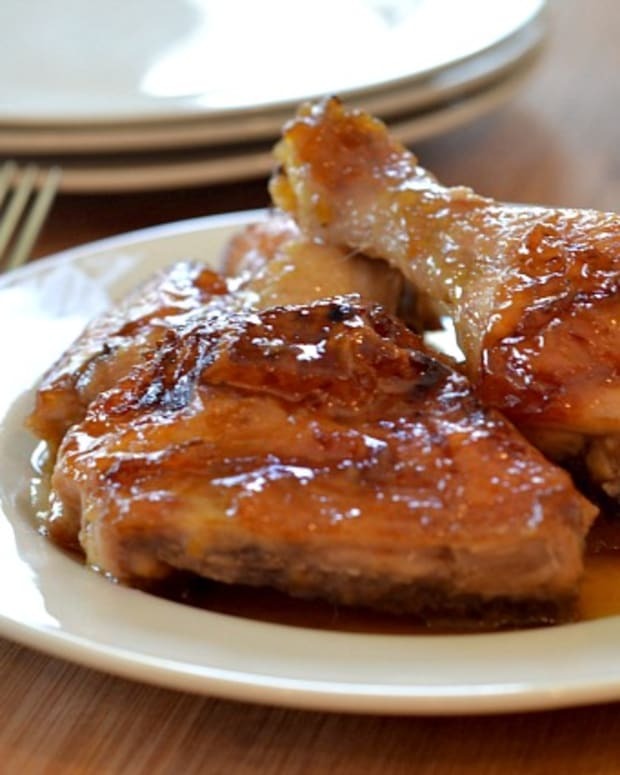 These recipes were developed specifically and especially for these holidays. Despite these differences, Book 2 still has the same style and great autobiographical material as the first cookbook. In a sense, I’m still the bride who knew nothing, in that I prefer basic equipment to fancy kitchen gadgets, and I’m still learning about cooking. I’m not afraid to share my embarrassingly funny kitchen disasters with you. The focus has shifted a bit, because my life has changed over the few years since my first book was written. Back then, I was a bride, and now I’m the mother of four lively kids (thank G-d) – now there’s a kitchen challenge! I have even less time to cook than ever before. On the other hand, I’ve done some creative thinking on how to make your kitchen the focal point of nurturing your family, and I’ve included those tips too. All of this makes Quick & Kosher: Meals in Minutes more than a cookbook. I hope you will take this book from your kitchen to the couch and curl up for a good read. A really funny glossary -- worth the price of the book! 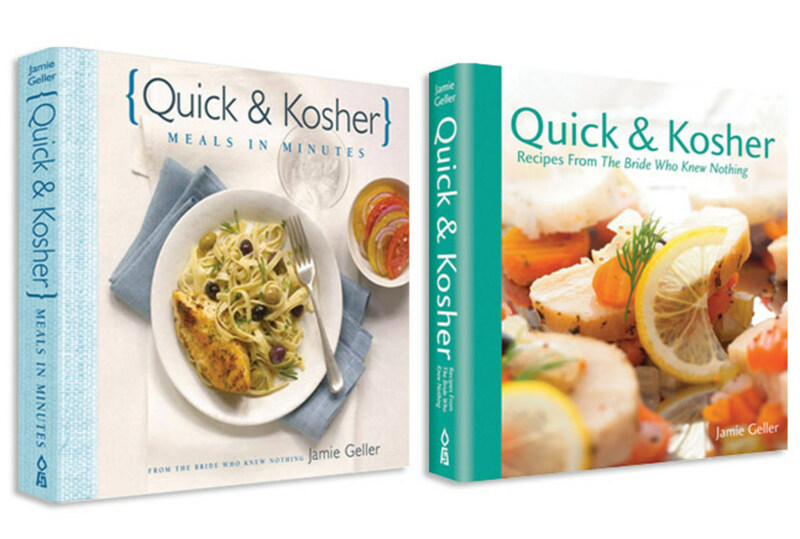 The Quick & Koshercookbooks are the perfect gift idea for someone you love this Chanukah, as a hostess gift, or the ultimate series for the new bride. Of course, you don’t have to be a “new” bride to enjoy it. You could be a new groom. Or a not so new bride – if you are someone who would love to have some extra time on your hands to do the things you most enjoy then my books are for you. 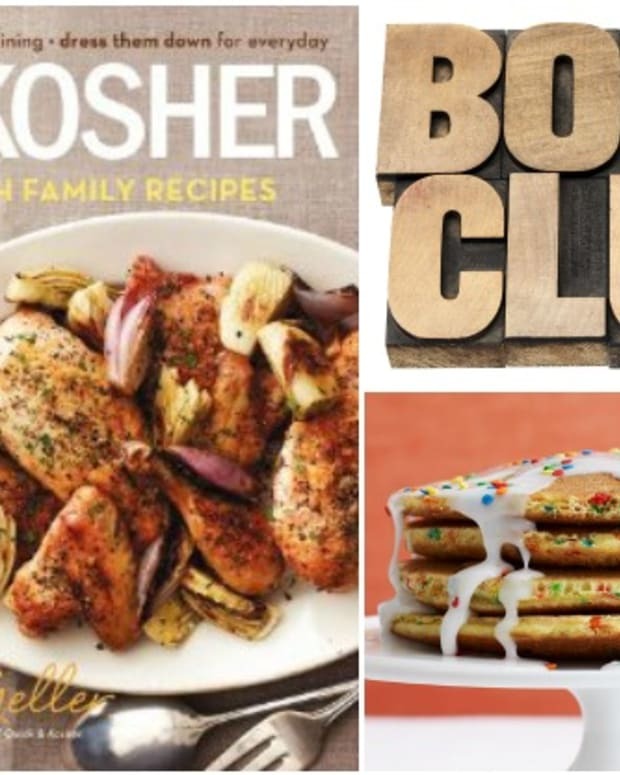 So whether you’re a seasoned cook, or just learning to turn on the stove, both Quick & Kosher cookbooks are all about making your life easier! That’s the short and long answer to your Q Rachel. Thanks for inquiring. And, check out this great recipe from the new cookbook for Stir-Fried Tofu with Soba Noodles and Baby Bok Choy. 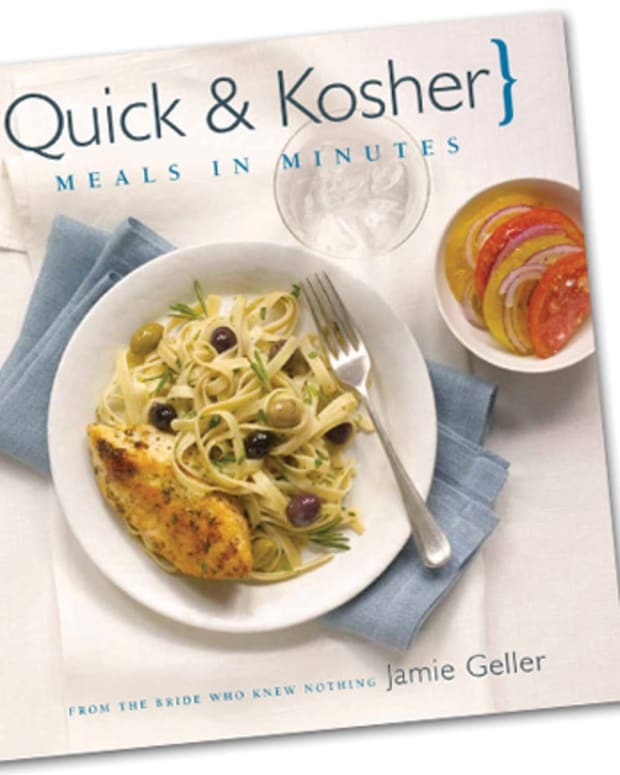 Jamie Geller's Quick & Kosher: Meals in Minutes Cookbook Giveaway!